Chipped or broken tooth result from an accident or injury. 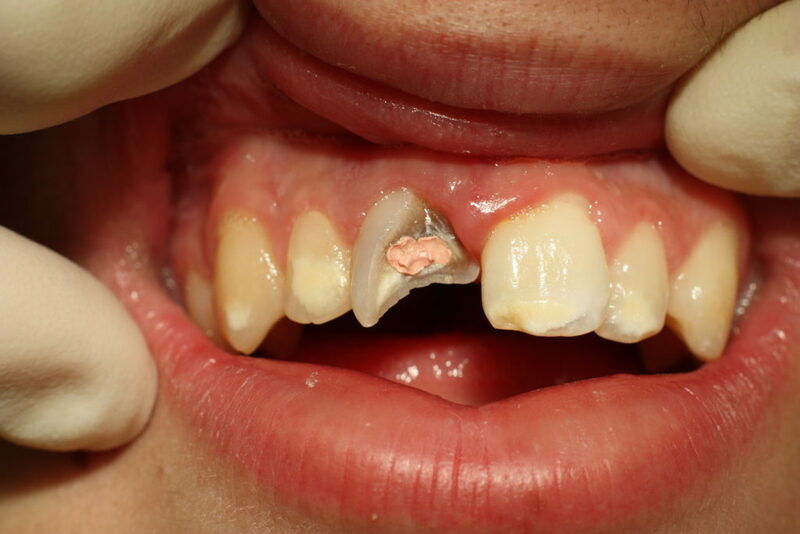 The enamel that covers your teeth is strong but has its limits and can be damaged. Minor damage and slight chipping do not have any effect on the tooth’s ability to function properly and may not weaken the structure of the tooth in general. However, cracked and chipped tooth may result in severe complications as your tooth becomes susceptible to breaking. Patients may also face discomfort and difficulty in chewing or biting food with a broken or chipped tooth. Treatment for a chipped or broken tooth will depend on the severity of the damage. Minor chips don’t necessarily need any treatment. Your dentist may recommend repairing the damage by filling your tooth to prevent further complications or just polish it and smooth out the surface of the chipped area. In case of a serious condition where a large chunk of your tooth is broken or fractured, it is advisable to consult your dentist for proper treatment. Otherwise, your tooth may be further damaged or infected, possibly causing you to lose it. If left untreated, a broken tooth can also infect other areas of your mouth causing pain and discomfort. A chipped tooth will also affect your personality and may lower your confidence level knowing that anyone you engage in a conversation with might notices the deformity. You may also avoid smiling, in general, to keep away from getting noticed. For this reason, a more suitable option is to consult your dentist for assistance and opt for dental bonding. The treatment may cost you a little but it is one of the least expensive and easiest cosmetic dental procedures you can choose to change the shape and appearance of your tooth or to protect the portion that is exposed to further damage. Next Article Are These 3 Myths About Dental Implants Preventing You from Visiting a Dentist?